The ASA system consists of seven elements to denote a single point cutting tool. They are always written in the following order. Back rake angle, Side rake angle, End relief angle, Side relief angle, End cutting edge angle, Side cutting edge angle, and nose radius. 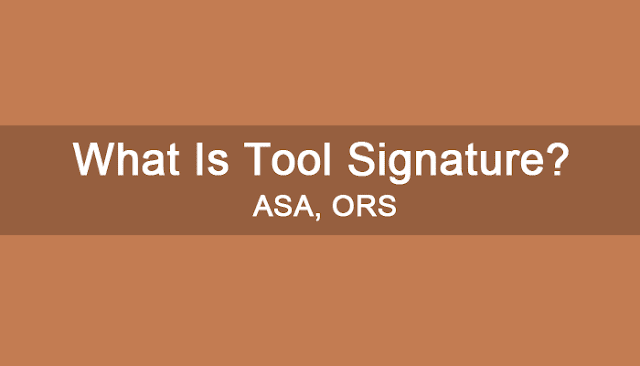 The ORS system comprises seven parameters to describe a tool. The main elements of ORS designated in the following order Angle of inclination, Normal rake angle, Side relief angle, End relief angle, End cutting edge angle, Approach angle and Nose radius.